I should’ve made this devlog a year ago as this map has made a lot of progress since, but well it’s better than never. Some (few actually lol) of you might know that I am currently making a 1:1 recreation of the Mojave Wasteland from the game Fallout New Vegas. The original creator, Threule, gave permission for me for me to finish the project last year. Props to him for making the landscape of the map so accurate, it wouldn’t be a 1:1 recreation without him. Anyway, let’s just get into what the map from above looks like right now. 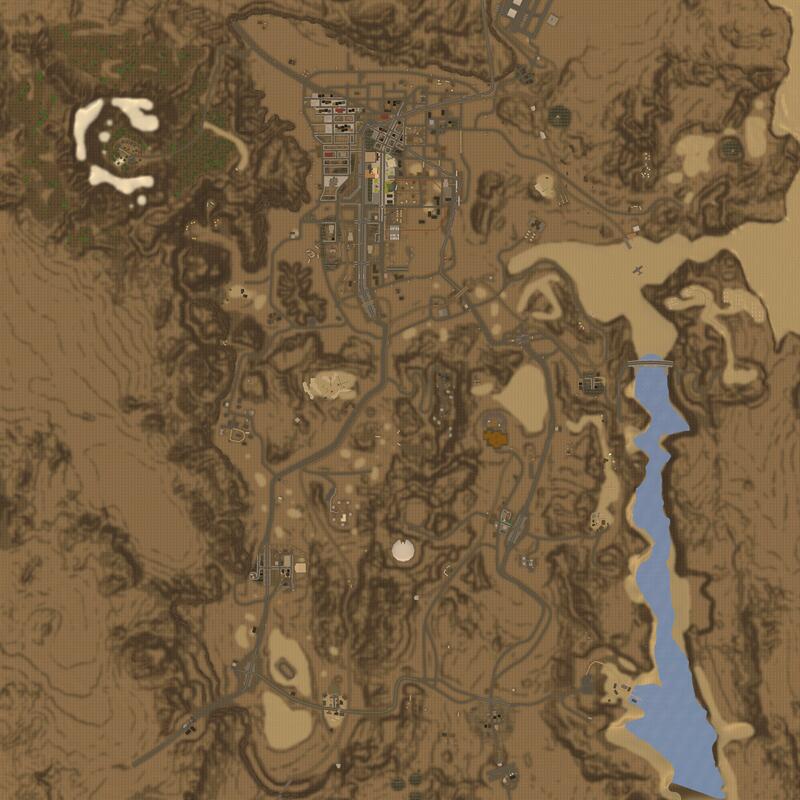 So here is what it is from up top, if you compare it to the real FNV map, this is REALLY accurate. Again, the landscape is made by Threule, I merely finish up the rest. 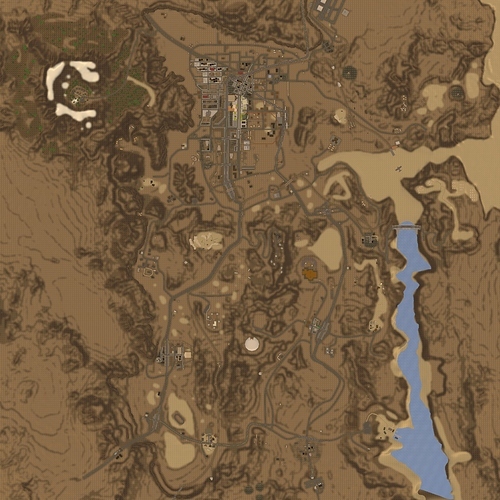 Looking closer, you can see that most of the buildings have been placed and most have been furnitured, the placement of the buildings is as accurate as I can get it with the real game, went back and forth from FNV to Unturned just to make sure it’s in the right place. So you’ll know where you are when in-game if you’ve played FNV. This is the The Strip as viewed from Freeside. Unfortunately, the casinos only have their first floor modeled, while the upper parts are inaccessible, this is due to performance problems, since the city is so big, adding more would cause tremendous lag. Sadly, since I am a new user in this forum, I seem to cannot upload pictures any more than two. I apologize for the inconvenience, as I still have many more pictures to share. 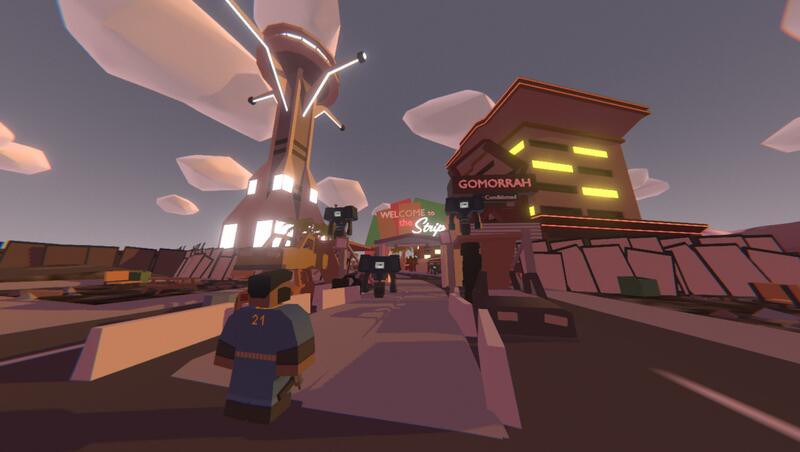 I will upload them in the next devlogs until I can upload more than two pictures. Honestly, I appreciate any help I can get, especially NPCs and quests. Alright, that’s it for the first devlog, tune in next week (or month) for more! And don’t forget the feedbacks! Let’s keep this in groove, hey? Smooth moves, like smooth little babies. Welcome to the forum Nitecloud. Another settlement needs your help. Here, let me mark it on your map. nice work dude, and welcome to the forum. I wish my entry to the forms was posting something like this.